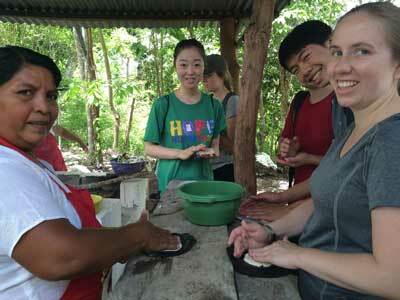 Rachel, our Multimedia Director, just returned to Globe Aware HQ from two weeks in Guatemala! She was there as an extra pair of helping hands alongside a school group (Globe Aware alumni of several programs). 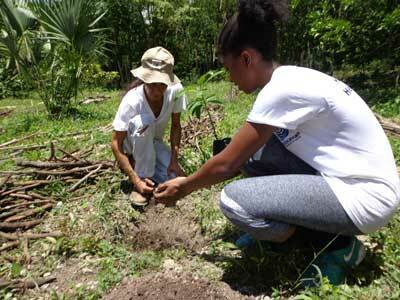 Amongst the projects and cultural experiences, the group took part in a reforestation project by planting trees. Recently, trees have been burning or cut down for wood. 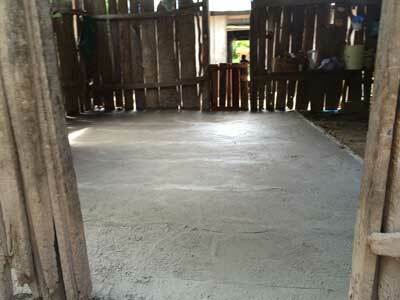 The volunteer group was so big that they were able to install not 1, not 2, but 5 cement floors! The group split into smaller groups to help build as many cement floors around the community as possible. Since we have been doing this project, many families from the community have asked Globe Aware to build cement floors in their homes. The floors improve health and hygiene. The families were so happy to have an actual floor (instead of dirt). 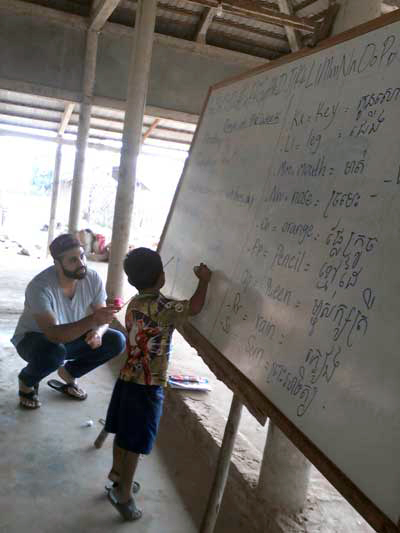 One of the last major volunteer projects was teaching English to the community at their local school. 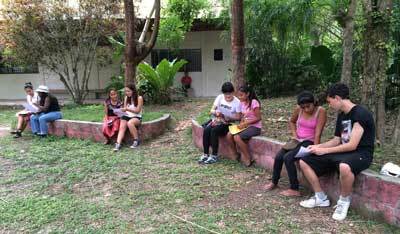 Our volunteers helped so many people- young and old, boy or girl- understand common phrases in the English language that will be beneficial to them for when tourists visit El Remate. 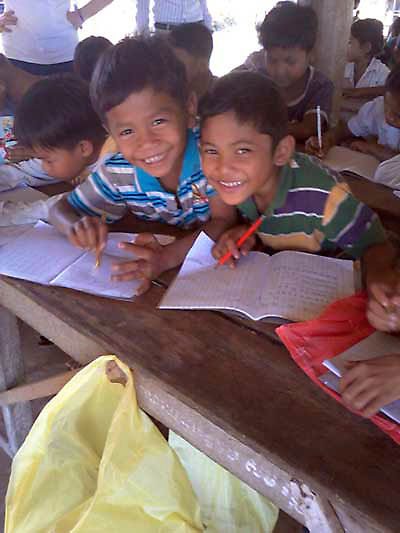 Since December 2014, we have been volunteering at the VHC “Volunteer Help Cambodia” school for poor village children who are not able to attend the government schools, mainly because they’re unable to afford the government schools. The VHC School is in danger of closing and we would be grateful for any help you might be able to give! 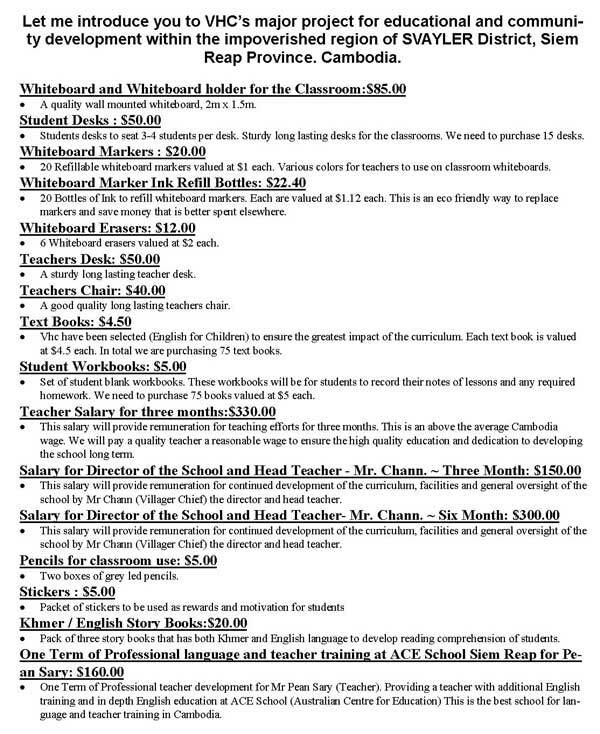 To contribute to keeping the school open, you can make donations here CLICK HERE In the payment message, indicate where you would like funds to go. Here are the projects our Globe Aware volunteers are currently contributing on the program. You are welcome to join us! Cleaning and securing the current location. Safe storage for school supplies. New benches and work tables. Tiled floor for children to set for activities. Purchase of school uniform so that children can attend government school and VHC. Arts and Crafts- assign daily projects such as: draw your favorite animal, activity or sport. Yard work! This sounds like a job for older children but what child doesn’t want to get a little muddy? Have them pull weeds and make it into a game so it will be much more fun for them! UniversalGiving is celebrating International Day of the African Child by asking folks to donate to or volunteer with one of the UniversalGiving’s top-quality partner organizations committed to bettering the lives of children in Africa - AND WE ARE ONE OF THEM! Our program in South Africa gives you the chance to work in improving pre-school care centers, sports lessons and helping the local youth center in the Imizamo Yethu Township.